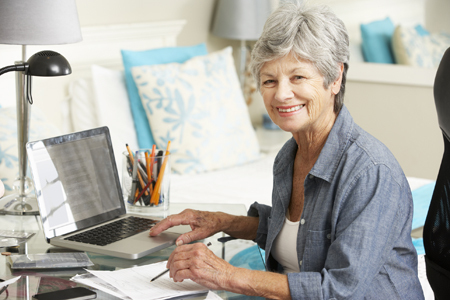 Are you planning to boost your retirement income by doing some part-time work once you eventually retire? Perhaps you have included the expectation of some paid work in your calculations about how much you need to finance your retirement. If so, this leads to another question: How realistic is that expectation? A Vanguard research paper, Retirement transitions in four countries, may help provide some answers. More than 5560 pre-retirees (who are planning to retire within 10 years) and recent retirees (who retired over the past 10 years) age 55-75 took part in the study covering Australia, the United States, United Kingdom and Canada. This includes 743 Australian pre-retirees and 703 Australian recent retirees. In short, the researchers wanted to compare the expectations of pre-retirees with the experiences of recent retirees – including in regard to doing some work as a retiree. Australia: Pre-retirees expecting to do paid work at least once a week in retirement (42 per cent). Recent retirees actually working at least once a week (11 per cent). United States: Pre-retirees expecting to do paid work at least once a week in retirement (42 per cent). Recent retirees actually working at least once a week (14 per cent). United Kingdom: Pre-retirees expecting to do paid work at least once a week in retirement (40 per cent). Recent retirees actually working at least once a week (10 per cent). Canada: Pre-retirees expecting to do paid work at least once a week in retirement (47 per cent). Recent retirees actually working at least once a week (14 per cent). These findings raise another question: Why is there this gap between expectations to work in retirement and actually working? "There are several possible reasons for this difference," the researchers write. "Pre-retirees may feel they need more sources in retirement, and so expect to work. "It could also be true," they add, "that recent retirees had the same idea [as pre-retirees], but then, upon retiring, realised that the work was no longer necessary in retirement. Pre-retirees may also be overestimating their ability to find suitable work." Whether retirees do some work much depends on such factors as employment opportunities, health and family obligations – and whether they actually want to do paid work after getting a taste for retirement. A message is that you should be particularly cautious about counting on part-time work as a retiree to boost your retirement income.